Here you can find the most important news, blogs and videos from SP Technology. We will highlight developments, insightful industry trends, company announcements, technology expos, conferences, and events. The Right Robot for the Job? What are the Advantages & Disadvantages of Robotic Automation? Robotic automation is becoming more and more popular over a wide range of industries. Businesses are further realising the advantages and many benefits it offers. Manufacturers in the UK are beginning to invest in automation and technology to ensure they have a competitive edge in the market they operate. Obviously, not everyone believes that there are advantages in robotic automation and are resistant to change their existing production line, in fear that changes may upset the way things are currently produced. In order to address both sides of the discussion, we have compiled a few brief advantages and disadvantages of using robotic automation. Lunchbreaks, holidays, sick leave will be no more. Robotics can be set to work on a repetitive cycle and as long as maintained properly then it will continue to run until programmed to do otherwise. Essentially eliminating the risk of repetitive strain injury (RSI) occurring. Resulting in an increase in production at a lower cost, with the cost of investment being recovered in a relatively short space of time. Research has shown that performing repetitive tasks over a certain period of time can lead to poor quality as concentration levels will naturally decline. Leading to costly errors for the business and the possibility of serious injuries to employees. Robotic automation eliminates these risks by accurately producing and checking the standard of production, passing or failing as appropriate. With more products going out the door manufactured to a high standard, this potentially creates a number of reoccurring and new business opportunities. It makes complete sense using robotic automation to perform repetitive tasks. Robots are specifically designed to make repetitive movements, unlike humans. Freeing up employees to give them the opportunity to expand their skill set and work in other areas, increase staff morale and will create a better business environment. With higher energy levels and motivation, the product can only improve and this new culture will shine through to the satisfied clients. In particular industries staff members can be asked to work in unstable or dangerous environments. For example, if a high level of chemicals are present, robotic automation offers the perfect solution as it will continue to work without harm. Due to the nature of their work some production areas that require extremely low or high temperatures typically has a high turnover of staff. Robotic automation again can be used to prevent humans putting themselves at unnecessary risk or harm. This always seem to be the key reason people resist the change to robotic automation. The belief that they are going to take peoples jobs. This is quite frankly not the case, statistically robotic automation has created more jobs than they have taken away as new roles are created as staff are upskilled to more statisfing positions. Did a drone pilot or social media manager exist 10 years ago? One of the biggest obstacles that companies have when deciding whether or not to invest in robotic automation is the initial cost. A comprehensive business case has to be strongly built when considering implementing this type of technology. Increased throughput and reduction in defects both need to considered along with the capital expenditure when deciding whether or not there is a business case for investment. Skilled staff have to be sourced or upskilled to fill the specialised roles in factories. The introduction of automation also comes with the need to learn how to operate the production. Automation companies assist with the initial installation, training, commissioning and when required full validation. After sales support, both onsite and remote dial in ensures your new automation downtime is minimised. In general we find that if the introduction of the automation is carried out correctly and your people are brought on board early and feel part of the process then they are more likely to embrace and support the introduction. The result being these people “owning” the system and knowing more about it than the Original Equipment Manufacturers (OEM) within a matter of months. Get in touch today to talk with one of our team, find out if robotic automation is a solution to invest in to help your business to grow. 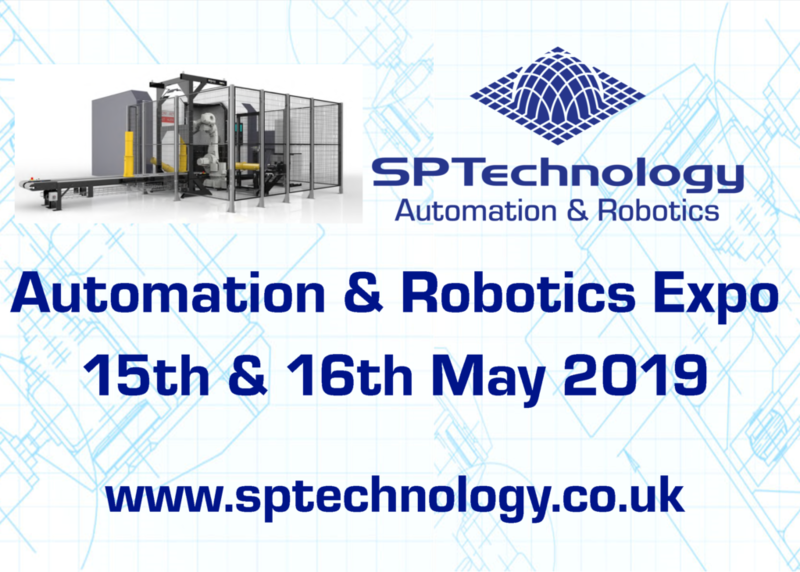 Join the automation engineering experts at SP Technology’s premises in Dundee for our two-day Automation & Robotics Expo: Wednesday 15th and Thursday 16th of May 2019, 09:30 am – 15:00 pm. Our Automation and Robotics Expo is for anyone who would like to see what options are available to allow them to consider automation. Regardless of your business, medical device manufacturing, biscuit manufacturing, aerospace components, or welding, this is the automation event where you can see it all come together. As well as discover more information on how to Finance Automated Systems. If you are looking to attend an automation expo that will be informative and practical, then please register for this popular event at one of the UK’s Leading Automation Company’s. Register today using the form below, letting us know if you are also interested in attending any of our breakout sessions. Follow us on LinkedIn, Twitter & Facebook to stay updated. 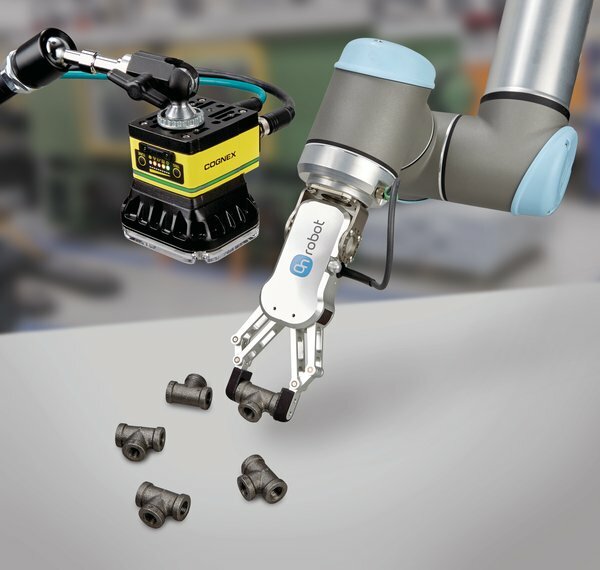 Robots & Cobots – What is the Difference? Bespoke Automation – what does it mean? What is a URS? Why is it Important?